2017 will usher in intensified cyber attacks, new regulations and a shift in how businesses approach cyber risk management, according to Stroz Friedberg, an Aon company. It predict top threats this year include nation state cyber espionage, a rise in data integrity attacks and an increase in attacks harnessing Internet of Things (IoT) devices. With cybersecurity firmly entrenched as one of the most consequential issues impacting international security, politics, economic stability and transactional crime, an understanding of existing and emerging cyber risks is more relevant than ever before. "In 2016, we witnessed everything from cyberattacks influencing public opinion to hacked IoT devices and the introduction of new cybersecurity regulations. This year we'll see an intensification of these threats, along with new challenges and a blurring of lines between the actions and responsibilities of the state, markets, businesses and civil society," said Ed Stroz, Co-President and Co-Founder of Stroz Friedberg. "The flood of fake news and nation state-backed attacks in this past year's election are just a sign of things to come, as attackers find new ways to seek faster and wider access to data and exploit sensitive information." In 2017, Stroz Friedberg predicts there will be an increase in IoT devices compromised, harnessed as botnets and used as launching points for malware propagation, SPAM, DDoS attacks and anonymizing malicious activities. Cyber espionage will continue to influence global politics and will spread to the upcoming elections in Latin America and Europe. Russia, China, Iran and North Korea will remain regions of great concern in 2017, as they continue to develop deep pools of cybercrime talent. Data sabotage as the next big threat will become a reality in 2017. 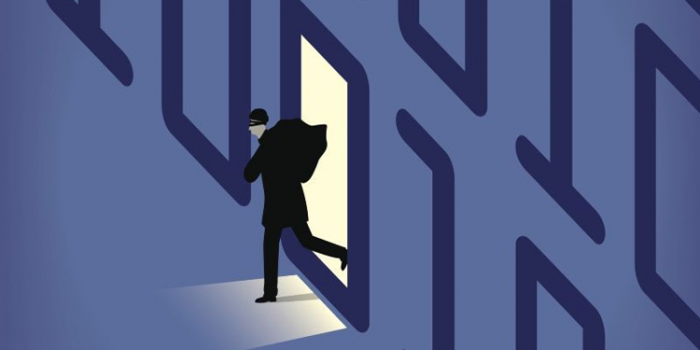 Criminals will seek to sow confusion and doubt over the accuracy and reliability of information, impairing decision-making across the private and public sector. As organizations continue to leverage evolving technologies, including the cloud and IoT, and in parallel shore up perimeter defenses to raise the bar of network security, criminals will increase their focus on the human element as an entry point. In 2017, advanced social engineering tactics will become more targeted, cunning and more effective, exploiting the weakest link – employees – that organizations always find challenging to safeguard. Increased pressure from regulators worldwide will push in-house red teaming capabilities to accelerate in 2017. In addition, companies that are not in the cyber business will face a different challenge – recruiting, motivating and retaining highly technical cyber talent to keep their red teams at the forefront of cybersecurity. This push will likely first occur in financial hubs such as Hong Kong, Singapore, the EU, and even the U.S. The financial services industry and other regulated sectors will be early-adopters of making cybersecurity due diligence a critical part of the pre-M&A due diligence process, learning from high profile transactions that were derailed last year, following the exposure of cyber vulnerabilities. In 2016, Stroz Friedberg's correctly predicted events such as cyber threats influencing the U.S. presidential election and security incidents with IoT devices shifting dialogue from functionality to security. Industry is not powerless or relegated to sit by and wait for government directives to manage risks. Stroz Friedberg provides recommendations on how organizations can increase their resilience, shore up operations and boost defenses in the face of a substantial cyber threat landscape. To discuss predictions with cybersecurity leaders, join the company's webinar on Monday, January 23 at 11am EST.